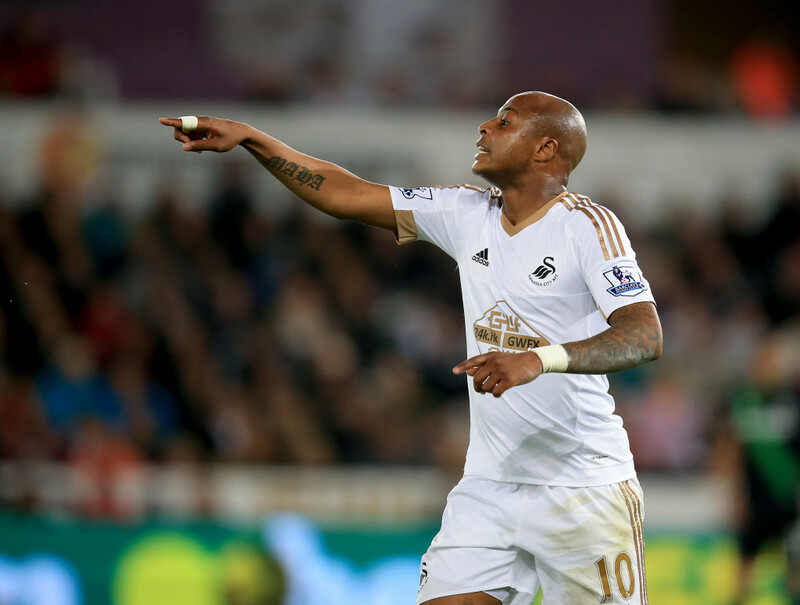 Swansea forward Andre Ayew is pleased with the way his Premier League career has begun but he knows he will have to keep adapting to maintain his high standards. The Ghanaian international moved to the Liberty Stadium on a free transfer from Marseille during the summer and he has gone on to score five goals in his first 12 league appearances for his new employers. Goals against the likes of Chelsea, Manchester United and Tottenham have helped the 25-year-old’s stock quickly rise in South Wales and he admits that he is not surprised by his impressive start to the season. The No.10 knows he will have to work even harder to maintain his impact in matches, as his eye-catching performances are fast making him a marked man when the Swans take on league rivals. Ayew has only found the back of the net twice in his last eight matches for the Jacks and he will be keen to improve on that tally when Garry Monk’s side play host to Bournemouth on Saturday.